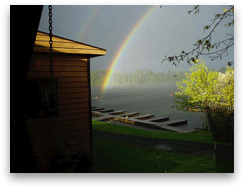 Forest Lake Lodge is a third generation owned and operated family friendly resort. Established over 70 years ago on picturesque Forest Lake, located in Northwestern Ontario on a chain of lakes known as the 'Indian Lake Chain'. This is a great system for fishermen who do not enjoy big rough waters and yet there is over 175 miles of shoreline for the avid angler to explore. This clear water chain boasts numerous musky weed beds, flooded bays with logs and tree tops, gravel bars, clay bars just perfect for walleye and bass, plus plenty of depth for lake trout to hide. Northern are also present, as they have been introduced to the chain in the past decade. In addition we offer well-experienced guided hunting packages for small game, black bear, whitetail deer and moose. 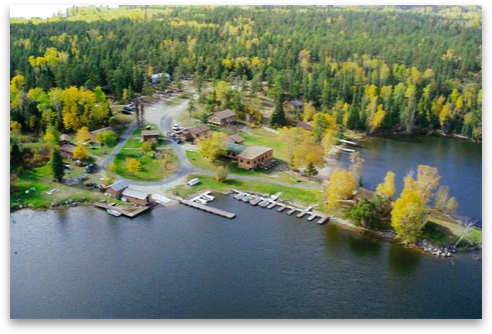 Nestled in a calm, protected bay amongst the woods with no other commercial camp nearby, this is a perfect destination for any sportsman or nature enthusiast to enjoy sightings of black bear, moose, deer, eagles, loons, beaver, waterfowl and many other woodland animals. 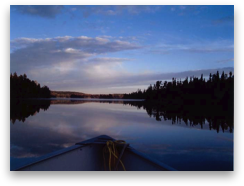 With just a short drive north of Vermilion Bay, Ontario you will escape the busy routine of daily life to indulge your self with relaxation and natures solitude. Forest Lake Lodge is virtually unknown as there has been no attempt to advertise in 70 years due to our repeat and third generation guests. You will experience warm hospitality, great fishing and breath taking views at our resort. Therrien's Forest Lake Lodge offers authentic character in a tranquil setting, bringing our guests back year after year.